The Avon Longitudinal Study of Parents and Children, a cohort study conducted in South West England followed 14,541 pregnant women and their children after birth. This study has concentrated mainly on the health of children since birth and has collected a vast amount of data on health, lifestyle, and environment as well as biological samples of urine, blood and DNA. This data has been used to establish genetic and environmental determinants of development and health. 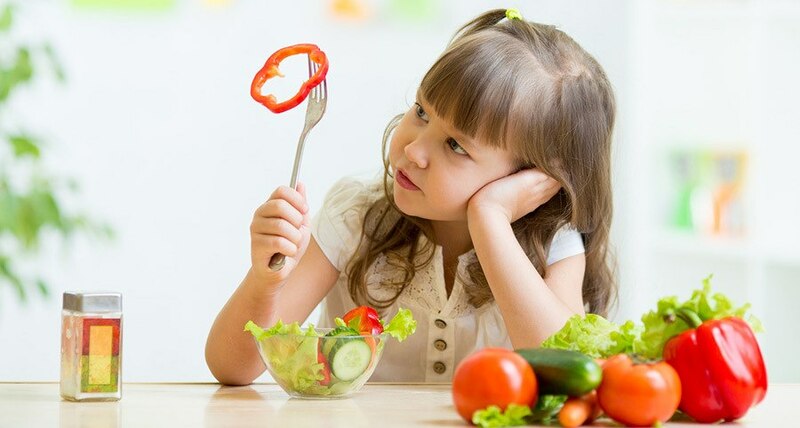 As part of this study, surveys and food frequency questionnaires were given when the children were between the ages of 2 and 7.5 years to determine whether they were selective (picky) about their food choices and the impact picky eating would have on their nutritional status. Food frequency questionnaires contained the all food and drink intake each child consumed over a period of 3 days (2 weekdays and 1 weekend day). Food intake recorded on these questionnaires was used to estimate daily intakes of macronutrients, micronutrients, and energy intake (calories consumed). Average daily calorie intake did not vary between picky eaters and non-picky eaters. This indicates that appetite and total calorie intake is not an appropriate method for determining picky eating. However, picky eaters consumed a greater amount of added sugars and a lower amount of protein. Another important item of note is that both non-picky eaters and picky eaters exceeded the United Kingdom recommended calorie intakes. A micronutrient comparison of picky eaters and non-picky eaters reveals that picky eaters may be at risk for lower consumption of several important nutrients. Picky eaters in this study consumed lower amounts of carotene (provitamin A), niacin, vitamin B-6, vitamin D, iron, zinc, and selenium. In this cohort study, picky children generally consumed less meat, fish, milk, vegetables, and fruit than non-picky eaters of the same age. This resulted in a comparatively larger portion of daily calories coming from sugar rather than protein. It also resulted in the lower consumption of several essential vitamins and minerals. Omega-3 Fatty Acids Support Heart Health Can Fitness Trackers Improve My Health?